The poires are made in S.S.304 , 8mm thick plate & base in M.S .The poire has the function to keep clean a continuous pulper. The pulp from above the screen plate of the pulper is taken into the poire . The accepts through the 12mm diameter hole screen plate taken as feed forward. After a pre-determined time, the valve, which draws flow from the pulper is closed , wash water is introduced in order to recover the fibre. After this rejects are purged out through the light reject to a drum thickener and the accept of which as usual is taken back to the pulper vat thus ensuring zero fibre loss. Subsequently, heavy rejects are discharged from the bottom. 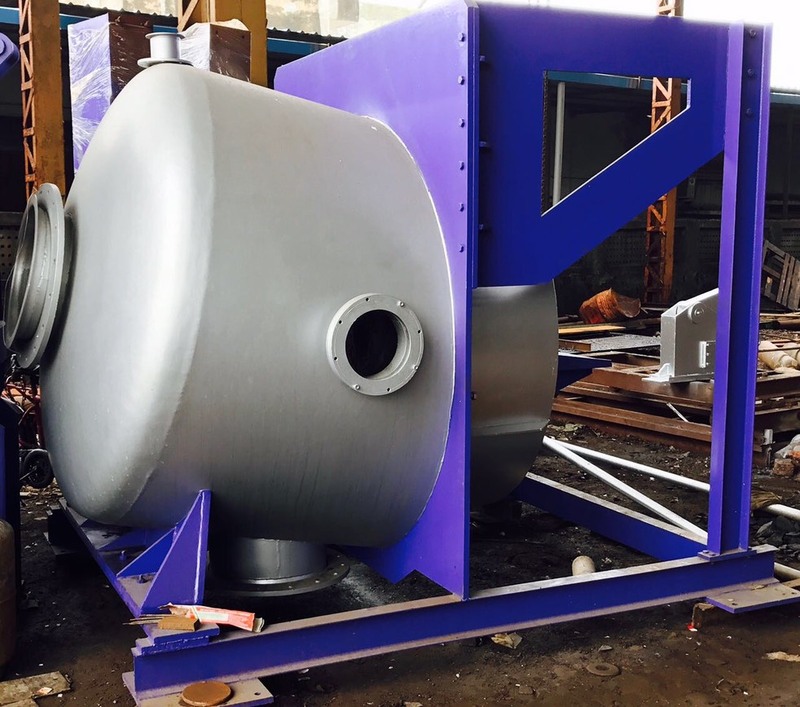 ▪ Body Fabricated out of SS-304, 8mm plate with stock inlet Nozzle for connection to Pulper reject line, Reject Discharge Nozzle, Air Vent connection and Inspection window with cover. ▪ SS-304 fabricated Extraction Chamber with Outlet connection. ▪ Supporting structure and base frame of MS.
▪ EN-8 Shaft with SS -304 Sleeve. ▪Stuffing Box with gland packing, Labyrinth ring. ▪ CI Drive & Driven Pulley. ▪Foundation Bolts & Belts. • Drive and driven pulper pulleysPoire (4 m3 ) : 1no. PLC with pneumatic Panel : included in our scope of supply. –1 No. We supply Project Manager and technicians. All lodging & Boarding will be in client's Account . All the equipment & consumables will be Supplied by the client.